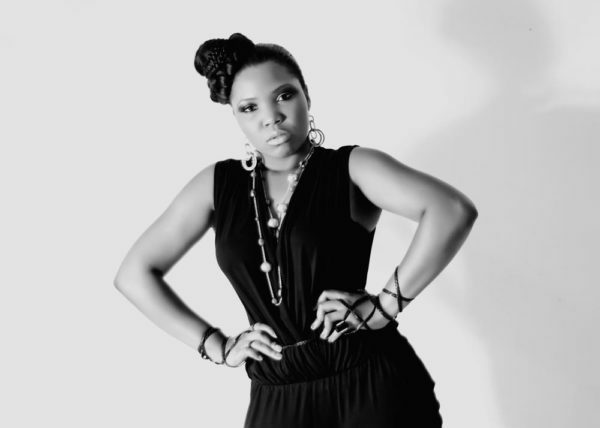 STARS Interview: The Rapper, The Fashionista, The Advocate – It’s the ‘First Lady of Nigerian Hip Hop’, Sasha P! Sasha, real names Anthonia Yetunde Alabi is fondly referred to as“The First Lady of Nigerian Hip Hop” and for good reasons too. 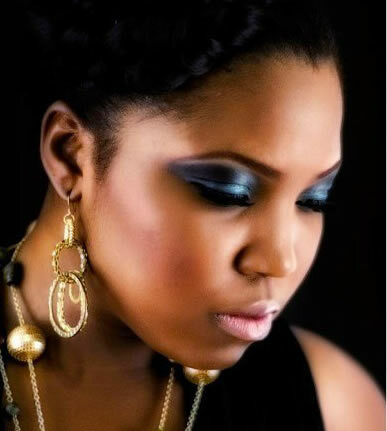 She shot into the limelight in 2001, at a time when Nigerian music didn’t have as much acceptability as it does now, but has remained steadfast in her career and has grown in huge leaps as one of Nigeria’s few female rap artistes. While in her first year studying Law at the University of Lagos, she caught the attention of music producer, eLDee and got her first record deal with Trybes Records. 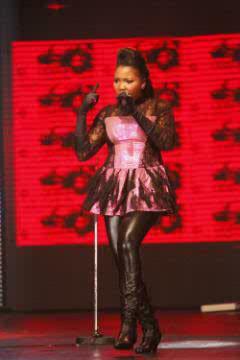 There she released hit tracks like “Emi le Gan”, “Work It”, “Oya” and her first album “Finally Here”. Now signed on to Storm Records, Sasha has continued to remain relevant and has blossomed into one of the biggest female brands in Africa. 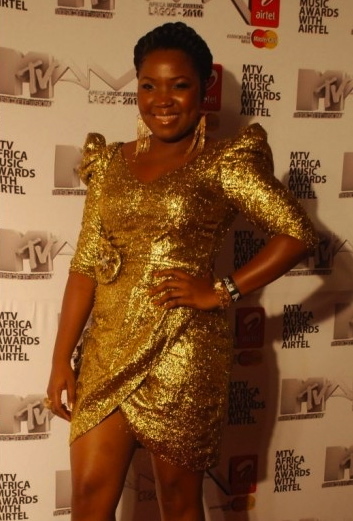 She is the recipient of several awards including Most Promising Female in Africa at the 2004 KORA Awards. Sasha is also the Creative Director of her own fashion label, Eclectic by Sashawhich has recently emerged into a retail line. Stepping into Sasha’s apartment left me in no doubt of her deepest passions at first glance – fashion and music. Her apartment was neatly arranged with clothes from her fashion label displayed on a row of hangers and on a mannequin hung an unfinished gown which was already taking shape beautifully. Music, which was the platform that brought her into limelight was not relegated to the background as she proudly displayed her awards. We had a long chat on how she broke into the music industry over a decade ago and her interesting journey ever since. You’ve been keeping a low profile lately on your music career. What have you been up to recently? I took some time off to work on my clothing label, Eclectic by Sasha, to get the retail line out properly and the machinery working. I also have other branches of the retail line that I’ve been working on. I’ve created two fragrances of which one would be released before the end of the year. I also have a book which I’ve been working on and it’s an extension of my upcoming album, ‘Sasha Speaks’. It has poetry and lyrics. Rap is rhythmic applied poetry. I’ve always had a love for poetry. I want people to be able to appreciate the lyrics that go behind the music as opposed to just music on beat. You mentioned something about fragrances. Are you coming out with your own line of perfumes? Yes. The first fragrance is called Eclectic. I mixed a note with Mystique Perfumery and I’m very excited about the smell because we worked over a period of five months going back and forth. Now I’ve learnt everything about base notes and top notes. I went through a whole process before I decided on the fragrance and I’m very happy with what I have now. It really started as a hobby. I’ve always performed, danced or mimed since I was a toddler. I know that sounds very cliché but it is the truth. A couple of my friends when I was growing up were really into music, a group of boys, and I used to hang out with them a lot. Somehow, we got into the studio and I got my first experience of performing with an actual team. A friend also gave me the number of eLDee the Don and I called him up and I got a record deal two days after that and that is how I got signed so it became a professional job. He initially asked me to freestyle but I don’t freestyle and I told him “I can’t freestyle but I can free write” and he said “what does that mean?” I said “give me a beat and I’ll write a verse and a chorus right here” because I had given him my demo and he didn’t like it. So I wrote my verse and I wrote my chorus and I left and two days later, I got a contract in my email and the rest they say is history. Out of all the genres of music, why Rap? People ask that question a lot but it’s what you are given that you use. I didn’t put my hand in some lottery and pick rap. It’s a God-given talent. It came natural to me. I had to learn to hone my skills and learn how to use it properly. Rap chose me. You’ve spent a long time in the industry. Some people come in and we hear of them for one or two years and they disappear but you’ve been in it for over a decade. How have you been able to keep up for so long? It’s the grace of God. I don’t have a formula. It’s just the confirmation of my dream that I’m in line with the purpose that God has for me because if you are doing what you are supposed to be doing then he is going to keep upholding you. What was the initial attraction for you; was it the fame or the money? It was just something that I was generally inclined to. My family is very musical so I grew up listening to all sorts of musicals, Sound Of Music, Jackson Five… and being the last of eight children, there was always some party or some ways to express myself. For me, it was just like stepping on to a bigger stage and I’ve always had this inner conviction that I have a message and I have to make a mark on my generation. Was it lucrative right from the very start? Anybody that says it was would be lying. The industry has grown in leaps and bounds from when I started till now. The fact that someone can release a song now and the next day in London, in America, everybody has heard it is a huge leap. When I was with Trybes Records, eLDee used to pay these street hawkers to carry our CDs. Then, nobody wanted to listen to Nigerian songs, let alone pay for it. The main thing is you have to be passionate about it first. It’s not a clear cut money-making scheme but it’s definitely very viable if it’s done properly. Did you grow up listening to a lot of Rap Music? It’s really strange. When Destinys Child started out, I was in secondary school and I used to be so excited and everybody would be asking “I thought you say you rap”. People expect you to listen to a particular kind of music but unfortunately, I’m not one of those people. I’m the cheesiest rapper you can find. I love R&B music. If I could sing, I would sing Celine Dion, Whitney Houston, Brandy. But for rap music, the first real rapper that I got into was Tupac and I totally fell in love. Choosing music as a career must have been met with resistance for most parents around the time you started. But you chose an even different path, Rap. What were your parents’ initial reaction when you decided to Rap professionally? There was never an intial reaction because there was never a point when I came home and said “You know Mummy, I think I’m going to be a rapper”. It wasn’t new to anybody at home and when I started going to the studios, it was with my family friends so everyone knew. I remember when I wanted to do my SATs, it was about the same time I was starting my studio sessions so I took my SAT form money and paid for a studio session. My Mum was livid. But I always wanted to study Law and I didn’t move away from that so it wasn’t like I said I wasn’t going to school anymore. 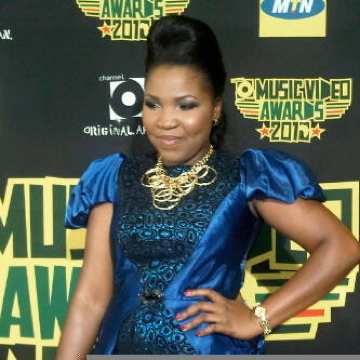 As a lady, did you feel odd, venturing into a field that wasn’t really common amongst Nigerian female musicians? It didn’t feel odd. I was used to being the only girl around the guys. I’ve always done a lot of things that were more male oriented so I felt right at home. Was it tough to get your music accepted into the mainstream of the Nigerian music industry when you started out? I’ve been blessed, I can’t lie. Fortunately for me, being on Trybes Records was a blessing. When we did the ‘Oya’ video, it blew up. People had never seen anything like it. We were speaking English, Yoruba and Pidgin mixed together; it was very fresh. The only challenge was that I was introduced to criticisms for the first time in my life and when my first album came out ‘Emi Le Gan’ it went bunkers. The acceptance was very overwhelming. Who were the artistes that inspired you, local and international? The artistes that inspired me at that time were Tupac, TLC, MC Hammer, Kris Kross, Fugees. Plantashun Boiz, Trybesmen, Tina (she’s late now). There was Blacky, Ese Agese, so many people that made Nigerian music look like so much fun. I understand you started you started recording songs even before you got into the University. Why did you choose to study Law? I’ve always wanted to study Law. I used to watch this series then ‘Jake And The Fat Man’. I got fascinated watching him in the court room, which really inspired me. I wanted to be a voice in my generation and I felt like for my voice to be respected, I needed to be part of the Law enforcement. After graduating, did you go on to Law School? No. I might anyway but I’ve already done some online courses on Mediation and I’m definitely looking into Alternative Dispute Resolution because I have a huge interest in that. The lyrics of your songs usually have insightful meaning. You sing about prostitution, AIDS, love, confidence… What informs the kind of songs you write? I just generally feel like everything should have a message. I feel if you have three minutes to say anything, at least say something worth listening to. When you look around this generation, you’d see that there are so many things that we take for granted but when we become leaders, we’d realize that these things we didn’t nip in the bud are actually serious so I feel I should use my music as a medium to say something. You were an active voice during the fuel subsidy protests in Lagos earlier this year, joining in the street protests. What informed that decision? At the time the subsidy was removed, I had started my fashion business and I was very affected by the fuel pricing. Until recently, my generation has been very complacent, we just complain, we don’t act but when I saw a group of young people, groups like Enough Is Enough, I felt like I needed to be out there. The first day, I missed the Ojota one but I went to Falomo and we were just about 20 people but by the fifth day, we had grown into thousands, marching around and it was very liberating to see that people were beginning to take control of their future. Do you have any plans to go into politics? I don’t think so. I just want to be a voice; I’m always going to speak my mind. You sort of paved the way for other female rap artists since your debut into the industry. How do you feel about rap music in Nigeria now compared to when you started out? To be honest, I think that there was a lot more creativity going on then. Everybody was just passionate about the music. There was a lot of intelligence then. I’m not saying there isn’t any now. If you hear someone like M.I. or Naeto C rapping, you’d see that there is a lot of intelligence in that but the songs are not as structured as they were back then. Nobody is trying to prove anything anymore because Nigerian music has sort of established itself. The difference is that music is more relaxing now, people are making happier music. Let’s talk about your fashion label, ‘Eclectic by Sasha’. When did you start designing clothes? 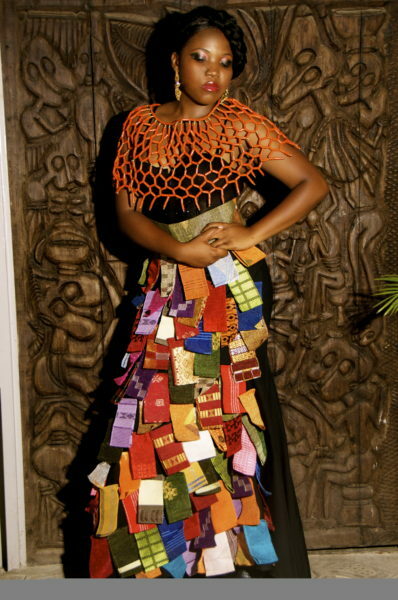 I had always designed stuff for myself even while in school and people used to order when they saw my designs on me. I made clothes for students from other Universities. From then, I styled people for TV shows, award shows, red carpets so it has been bespoke for a long time. Who or what inspired you to go into fashion? My mother. When I was growing up, she had a fashion line called Poise Fashion. I had Barbie dolls and I used to take small pieces of cloth and make small clothes for my dolls and that is how the interest started. When I got into music and needed specific clothes for my videos like clothes for a Traffic Show or something like that, of course I couldn’t find such clothes to buy so I had to go to the market and start buying fabric to make stuff for myself. You’ve now crossed over from Bespoke fashion to building a Retail Line. How did this come about? The business side of it started officially in December 2011. I stocked at L’Espace. We started with a hundred items and we’ve had a good run so far. Retail has always been my dream. I’ve always wanted to be like Nigeria’s H&M or Nigeria’s Forever 21. I love retail fashion because I think fashion is something that helps you express yourself and I don’t think you have to break the bank to look good. And that is where Eclectic comes in. We have versatile clothing but at affordable prices. Really? How much is this dress you are wearing right now? Are all your clothes locally made? Ever since you made your fashion label known to the public, you’ve been placed under higher expectations with respect to the way you dress to public events. How have you been able to meet these expectations? I personally don’t live for anybody. I know it sounds a bit selfish but I think once you please God and you’re happy with your inner self, everything else will fall into place. What do you spend most of your time doing now, music or fashion? I juggle both. Even while I was establishing my fashion business, I haven’t stopped recording. I was in Kenya for a couple of weeks in March, recording for the album. I’ve already released about seven singles off the Sasha Speaks album and there is more to come. You have been romantically linked with Naeto C in the past. Was it a rumour or were you two actually in a relationship before? It was definitely a rumour. So who is the spark in your life now? I didn’t say that. I think it’s best to concentrate on what I’m selling which is the clothes, the music, and positivity. I am so not pregnant. From the time the person ‘speculated’ it till now, I should be about five months pregnant if I was said to be three months pregnant then. I don’t think a baby is something you can hide and I don’t think it’s a bad thing. My mother had eight children so if I have a baby now, I think I’m old enough to have one, old enough to be in a relationship, old enough to be married so I don’t think any of these are things you should hide. But obviously it is better to be married before you have a child, it’s only proper. The only baby that I have right now is Eclectic by Sasha. Speaking of which, how old are you? I’m 28 but my next birthday is this month. What is the most disapproving comment someone has made about your designs? A while back, someone tweeted a picture of herself wearing one of my designs and there were comments of how it was a copy of one of H&M’s designs. I should be offended but I was actually flattered because what I have is a retail line and anyone who is familiar with retail lines would know that there are trends on the runway and designers or retail companies do their own versions of these trends and make them affordable for people. How far do you intend to take Eclectic by Sasha? I’ve been advised to take my designs to the runway but for now, I’m just focused on making Eclectic by Sasha a household name. We are going to release an online store from where anybody can order from around the world. We cater for sizes from 6 to 16. We are trying to go national and then international.